Robert Frost gifted us with these wonderful words which we use in reference to life, careers, business and many other challenges. As an idea guide, I follow this same thinking by attempting to visualize what obstacles we can face as we travel along our selected path. Many times I hear wonderful goals and expectations without the pondering of the obstacles that may impede our journey. Just seeing the obstacles is not enough to ensure a successful journey, we must contemplate the effects on our goals if we can not overcome these obstacles. 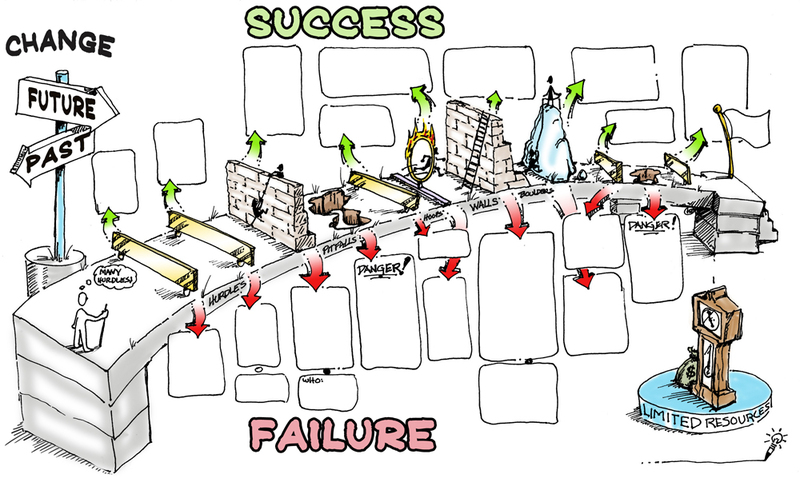 How will our path change or be diverted at each unsuccessful hurdle? The next time you create a plan for the future, try listing every obstacle and how you will overcome them and what will be your course change if you can not prevail. Visualizing the solution is the first step towards success.